It might feel like we’re in the dead of winter right now, but before we know it, the spring home-buying season will be upon us. 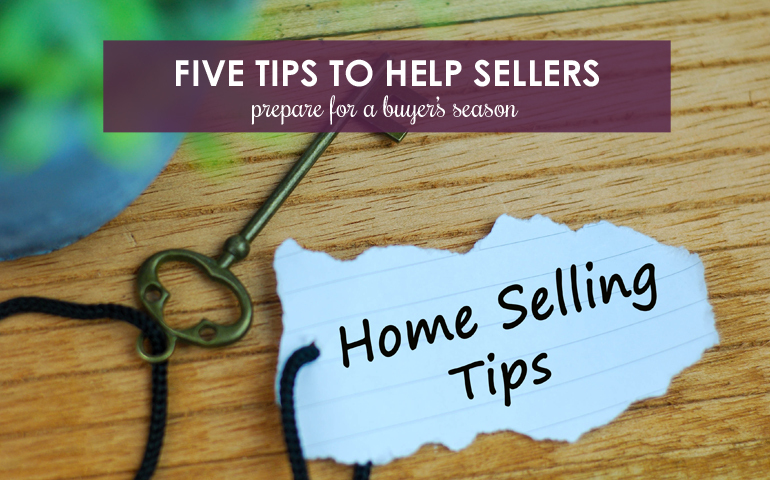 The good news for sellers is that there is still plenty of time to prepare for this busy season before it arrives. 1. Clean, declutter and repeat. From listing photos to unscheduled showings, sellers really cannot have their homes “too clean” to impress buyers. An outwardly-looking clean home is great, but sellers can take their homes to the next level for buyers by showing off an impeccable sense of organization too. In addition to your typical cleaning tasks, be sure to de-clutter your home before you list it. Once it is already on the market, don’t give up on those daily cleaning tasks either. Stand out among other sellers by always presenting your home in tidy, decluttered order. You might be following the latest trends. You might just have an intricate sense of style. Whichever it might be, when your home is on the market, you should put those less-than-conventional thoughts aside. Impress buyers during the busiest seasons by keeping your home neutral. If you’ve added overly bright accent walls or questionable color combinations around your home, a little repainting might help your home sell faster this spring. Neutral colors give buyers a blank palette to envision their own personal color and design choices. 3. Make sense of your space. Like those personal color choices, each homeowner might have particular plans for bedrooms or extra spaces in a home. If you’ve been using your formal dining room as a children’s playroom—or making an extra bedroom into your home office—you might want to think about returning these rooms to their intended uses while your home is on the market. Some buyers might be on board with your uses for the spaces, but some might not. And, one of the keys to helping buyers fall in love with your home is allowing them to envision it as their own. 4. Let in some light. Shorter days in winter are enough to depress anyone—and a darker home looks smaller and less appealing to buyers. Combat this cabin-fever-inspired darkness by letting light flow into your floorplan. You don’t have to make large changes around your home to do this either. Simply open your blinds and drapes to allow natural light to seep in during the day. At night, leave the lights on—particularly if you know you have an open house or showing where prospective buyers will be touring through. 5. Treat buyers to a real taste. Another great way to help buyers remember your home among others they might be visiting is by enticing their senses! Of course, you want your home to look, feel and smell clean. But you can take this “sense-sational” tip a step further by attracting buyers with some sweet tastes too. And—no, we’re not talking about that mural you picked up while you were vacationing last summer. We’re talking about actually treating prospective buyers to freshly-baked cookies, brownies or another sweet treat. Having a few refreshments on hand to help your home appeal to buyers certainly cannot hurt your sale during a busy buying season. If you’re gearing up to sell your home this spring, keep these five tips in mind. For more help listing your home during a busy buying season, contact us today.